The Kentucky and Virginia Resolutions (or Resolves) were important political statements in favor of states&apos; rights written secretly by Vice President Thomas Jefferson ,who would later become president, and James Madison in 1798, respectively. They were passed by the two states in opposition to the federal Alien and Sedition Acts. Since Congress was firmly controlled by the Federalists, the fight against the Alien and Sedition Acts moved to the state legislatures in late 1798. 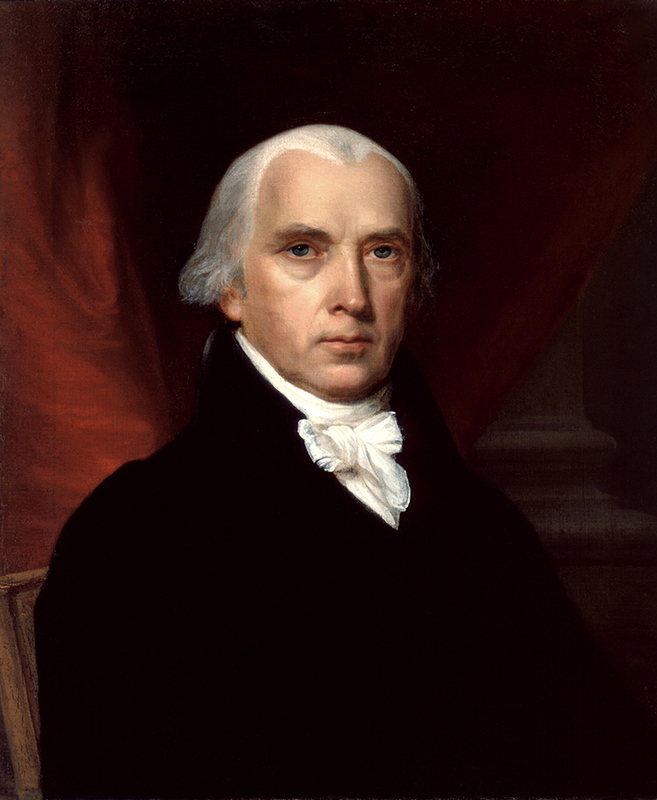 James Madisonprepared the Virginia Resolutions and Thomas Jefferson wrote the Kentucky Resolutions. Both followed a similar argument: The states had the duty to nullify within their borders those laws that were unconstitutional. Kentucky and Virginia Resolutions, in U.S. history, resolutions passed in opposition to theAlien and Sedition Acts, which were enacted by the Federalists in 1798. The Jeffersonian Republicans first replied in the Kentucky Resolutions, adopted by the Kentucky legislature in Nov., 1798. Written by Thomas Jefferson himself, they were a severe attack on the Federalists&apos; broad interpretation of the Constitution, which would have extended the powers of the national government over the states. The Virginia and Kentucky Resolutions of 1798 and 1799 raised the question of states rights&apos; andnullification. They were drafted in response to the passage of the Alien and Sedition Acts of 1798 but were concerned with a larger and more deep-rooted problem. How was power to be divided between the federal government and the states, and who was to settle disputes between the two? When the Alien and Sedition Acts were passed there were many who supported the actions of John Adams administration while others were profoundly opposed to the measures. Thomas Jefferson and James Madison were among those who found the acts egregious. They undertook to write responses for the states of Virginia and Kentucky. In Kentucky Thomas Jefferson&apos;s resolve was sponsored by John Breckenridge, in Virginia Madison&apos;s was sponsored by John Taylor. In both cases the authorship was secret to the public. Resolutions adopted in 1798 by the legislatures of Kentucky and Virginia to protest the enactment by the federal government of the ALIEN AND SEDITION ACTS, (q.v.). The Kentucky Resolutions, drafted by then Vice-President Thomas Jefferson, argued that the government was formed by a compact among the states and that the federal powers were limited to those delegated to it in the Constitution. In addition, the validity of laws passed by the government under supposedly unauthorized powers should be determined by the members of the compact, the states. Another resolution, passed by the Kentucky legislature in 1799, called for a formal nullification by the states of any law deemed objectionable. For all the significance of the Kentucky Resolutions, Jefferson&apos;s papers reveal little about their composition. This is due in part to his caution about what he revealed in his letters at the time he wrote the resolutions. Too, for the remainder of his life he showed little interest in avowing or explaining his original authorship of the document. He did not seem displeased with the changes made to the resolutions after they left his hands and was content to have the attribution of authorship lie elsewhere. Hoary and forgotten by most, the Resolves mark the path to limited government. Though much has changed since Jefferson and Madison penned the Kentucky and Virginia resolutions, the nature of power remains the same &#8212; power can be checked only by power. The Resolves point to the states as the natural depository of the power to check the national government. For those history buffs out there, Kentucky was at the forefront in asserting the principles of State Sovereignty in the early days of the Republic. The Kentucky Resolutions of 1798 took what some consider to be the strongest position on this issue in our history.For those history buffs out there, Kentucky was at the forefront in asserting the principles of State Sovereignty in the early days of the Republic. The Kentucky Resolutions of 1798 took what some consider to be the strongest position on this issue in our history. The Virginia and Kentucky Resolves were expressions of opposition by the Jeffersonian Republicans against the Federalist-sponsored Alien and Sedition Acts of 1798. Besides opposing these particular measures, the legislative resolutions proposed a "compact" theory of the U.S. Constitution that contended that state legislatures possessed all powers not specifically granted to the federal government and gave the states the right to rule upon the constitutionality of federal legislation. The resolutions became the basis for nineteenth-century STATES&apos; RIGHTS doctrines, which were employed by Southern states to defend the institution of SLAVERY.